The transfer of knowledge is a key issue in the North as Indigenous people meet the ongoing need for adaptation in their habitat. In eight essays, experts survey critical issues surrounding the knowledge practices of the Inuit of northern Canada and Greenland and the Northern Sámi of Scandinavia. Reflecting the ongoing work of the Research Group Circumpolar Cultures, these multidisciplinary essays offer fresh insights through history and across geography as scholars analyze cultural, ecological, and political aspects of peoples in transition. 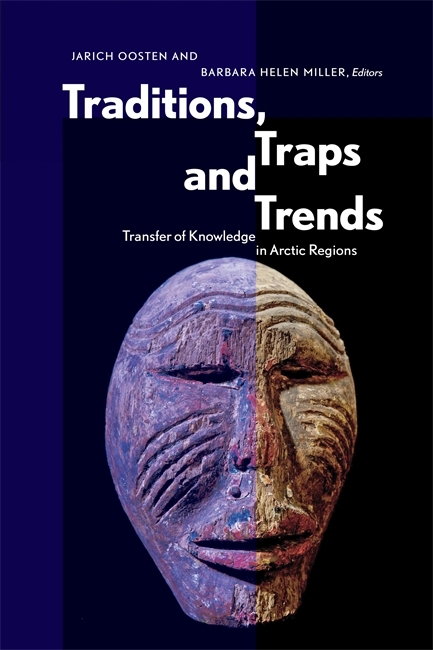 Traditions, Traps and Trends is an important book for students and scholars in anthropology and ethnography, and for anyone interested in the Circumpolar North. Jarich Oosten (1945–2016) was emeritus professor of the department of Anthropology at Leiden University and the author of numerous publications. Barbara Helen Miller is an independent scholar focusing on traditional healing practice. She is the editor of Idioms of Sámi Health and Healing (UAP).